LONG POND, Pa. — Will Power flirted with the idea of hurling a baseball much like a cricket bowler would throw the ball toward a batsman. Power, an Australian former rugby and cricket player, had second thoughts as he took the mound to throw the first pitch before a recent Philadelphia Phillies game. "I'd probably get booed," he said, laughing. Even Aussies know what triggers the official sound of contempt in Philly. Power might have heard worse had fans tagged him as bad luck when he left in the fifth inning of Philadelphia's 24-4 loss to the New York Mets. "I felt bad. I was like, whew, this is a tough gig," Power said. Power finds himself behind on the scoreboard as well, when IndyCar returns from a two-week hiatus for Sunday's race at Pocono Raceway. The Indianapolis 500 champion is fourth in the standings, 87 points behind leader Scott Dixon. With four races left this season, Alexander Rossi is second in the points race and defending series champion Josef Newgarden is third. "It's quite a points deficit to come back from," Power said. "But it's not impossible." Power's run toward a second IndyCar championship — to pair with his 2014 title — shifts into another gear at Pocono, where he's won the last two races and has an average finish of fourth in the five races since the series returned to the mountains in 2013. He got a nice boost Saturday when he won the pole to match A.J. Foyt for second on the career list with 53. Power was forced to pit early in last season's race to repair a broken wing and rallied from a lap down to win. He held Mikhail Aleshin at bay after a final restart to win at the track in 2016. He's had a few missteps in the No. 12 Chevrolet for Team Penske this season that left him looking up at Dixon in the title picture. Power's wins at Indy and Iowa have been offset in the standings a bit by crashes that prevented him from finishing four races. Dixon, who just signed a contract extension with Chip Ganassi Racing, has been about flawless this season. At 38, he's leading the series in pursuit of his fifth IndyCar title. Dixon has three wins this season and leads Rossi by 46 points in the standings. 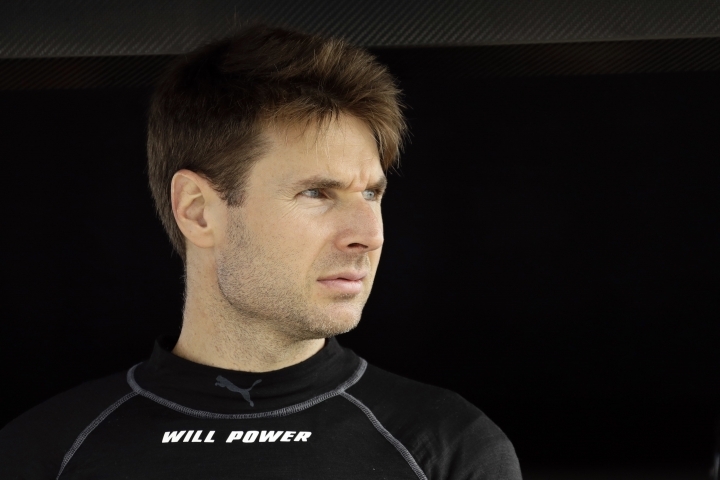 "He's as perfect as you can be in IndyCar," Power said. Dixon has six podium finishes and 11 top-10 starts in 13 races. It will take something wild — a massive wreck, an engine failure — to knock Dixon out of first. The driver known as "Iceman" isn't going to screw up his lead on his own. "Everyone has their bad runs, even if it's not their fault," Power said. "At some point in the season, you're going to get caught out. He hasn't had that yet. Maybe he has a perfect season." Dixon has one win and hasn't finished worse than ninth in five races at Pocono. "We're in a strong position, but it doesn't guarantee you anything," Dixon said. "I think with the (contract extension), it gives us a good injection to stay focused and make sure we make the most of these opportunities because they don't come around too easy or very often." Power knows better than any driver how a sure thing can slip into heartbreak once the final checkered flag is dropped. He won five races and led the points standings in 2010 for 15 out of 16 races until he finished 25th in the finale and lost the title to Dario Franchitti. Power finished second in the standings from 2010 to 2012 and found each consolation prize more crushing than the last. He kept framed photos of two trophies in his room for inspiration: one of the Astor Cup (which is awarded to the series champion) and one of the Borg-Warner Trophy for the Indianapolis 500 winner. He knocked one goal off in '14 with the series title and reached the second this season when he won Indy in his 11th try. Power scrolls through his phone ("plenty of baby photos") before he finds the picture he's looking for — the side-by-side photos of the trophies with his championship rings resting in front of the frames. The Indy win was the 17th for team owner Roger Penske. For Power, his first made his season. "Everything else is a bonus," he said. "No matter what happens, it will be a fantastic season." Power will make his 201st career start on Sunday and, at 37, has no immediate plans of calling it quits any year soon. "I feel like I'm better than I've ever been," Power said. He's always a driver to beat at Pocono — a favorite at a 500-mile race just like another big one he won this season. "I need to have a good race," he said. "Get back in the game."